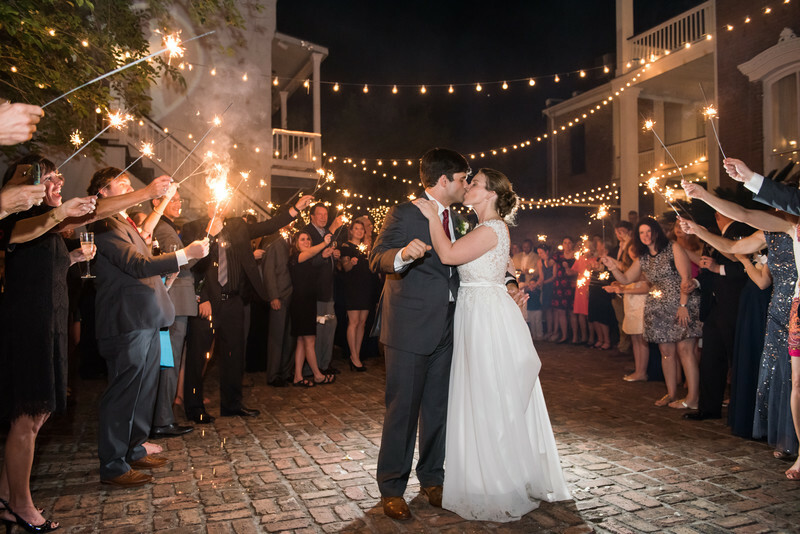 Sparklers on each side, rows of gorgeous string lights overhead, and a perfectly timed kiss--what more could a couple (and photographer) want for a beautiful exit photo. Ezell House in Mobile, AL is only one of the great historic homes that are now event venues. The courtyard between the main house and carriage house is a beautiful space for a ceremony or reception. Location: 407 Conti St, Mobile, AL 36602.